When do people buy their first home?.. 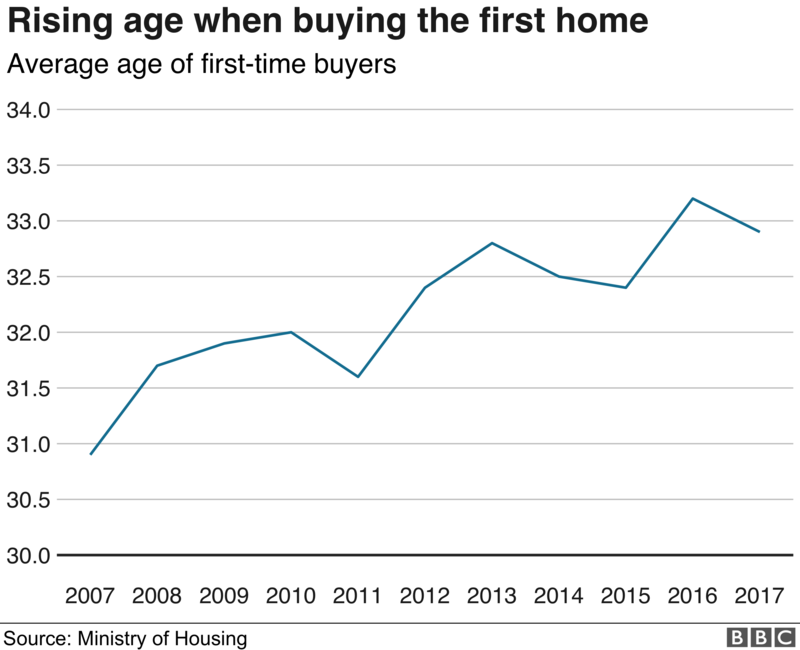 Home ownership rates in England rose slightly in the last financial year – but first-time buyers are having to wait until they are older to buy. The annual English Housing Survey, published by the government, shows that 64% of the population owned their own home in 2017-18. That was a one percentage point rise on the previous year, but far below the peak of 71% in 2003. There were still far fewer young buyers than a decade earlier. Some 38% of 25 to 34-year-olds are homeowners, down from 55% a decade earlier, in part owing to rising house prices. The average age of first-time buyers has risen from 31 to 33 over the same 10 years. The over 65s are more likely to be homeowners than they were a decade earlier, with 79% of this group owner-occupiers in 2017-18, most having paid off the mortgage. 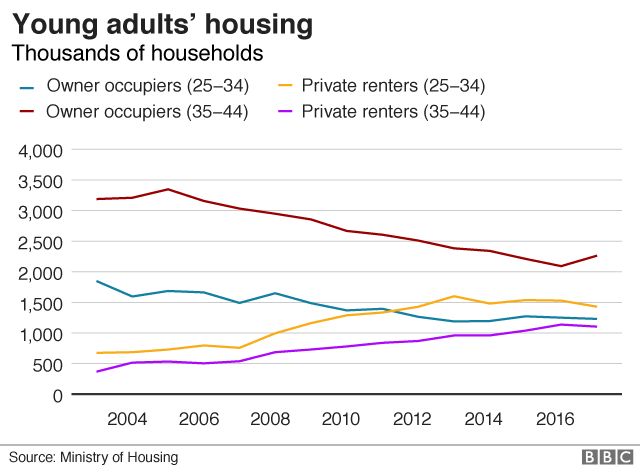 More young people are renting and fewer expect to be able to buy. 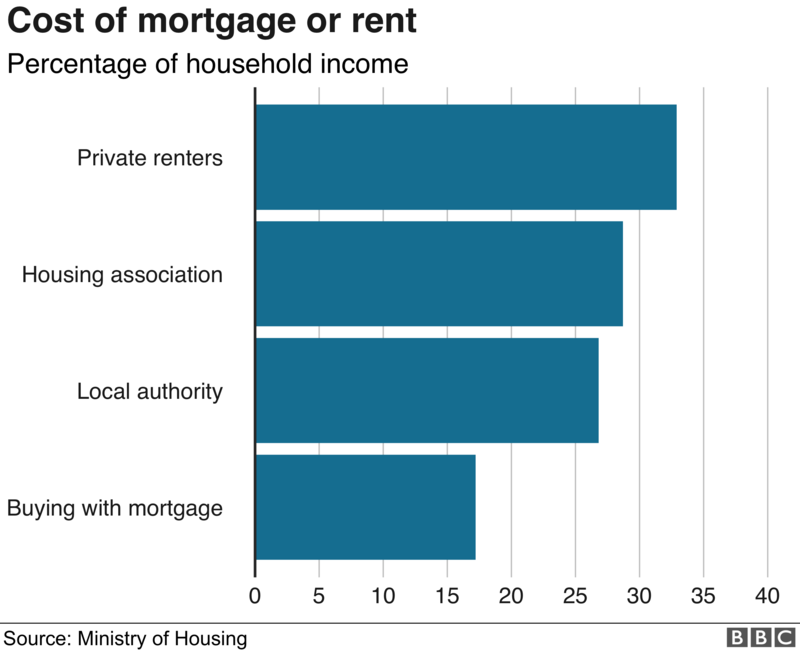 Rent eats up more household income that a mortgage would do. So many of these young tenants, who want to buy, will be grateful that house prices had hardly changed in the last year, according to the latest survey from the Nationwide Building Society. 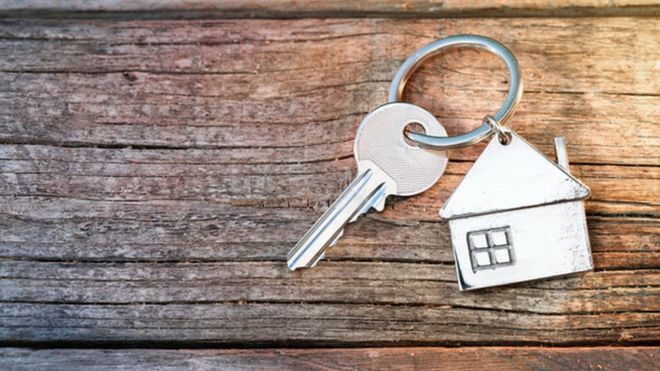 Lindsay Judge, senior research and policy analyst at the Resolution Foundation, a think-tank representing those on low and middle incomes, said the Bank of Mum and Dad was becoming a bigger influence on homeownership levels. “However, the underlying drivers of lower homeownership rates, including high prices, are here to stay. As a result politicians should continue to focus on widespread dissatisfaction with renting and worrying increases in overcrowding,” she said.